Finance Minister and Plans. Dr. Philip Isdor Plan (Mb) (right) describes statistical law improvements that enable researchers to make their studies easier for national development, during the meeting with the World Bank Executive Representative of African countries. Andrew Bvumbe (no picnic), during the annual conference of the International Monetary Fund (IMF) and the World Bank (WB) in Bali Indonesia, left the Tanzanian Revenue Authority Commissioner – TRA Mr. Charles Kichere. Finance Minister and Zanzibar Planning, Hon. Dr. Khalid Salum Mohamed (right), describing a plan to improve the Fisheries sector to bring productivity during the Conference between the Minister of Finance and Planning. Dr. Philip Isdor Plan (Mb) (left) and CEO of the International Monetary Fund (IMF) representing African countries. Maxwell High (no picnic), during the IMF and World Bank (WB) conferences in Bali Indonesia. The Executive Director of the International Monetary Fund (IMF) representing African countries, Mrs. Maxwell High, commending Tanzania for the steady growth of the economy, during the meeting with the Minister of Finance and Planning. Dr. Philip Isdor Plan (Mb) (no picnic) held in Bali Bali. The World Bank Executive Representative of African Countries, Mr. Andrew Bvumbe (right), pointing out something during the meeting with the Minister of Finance and Planning, Hon. Dr. Philip Isdor Plan (Mb) (second left), during the annual conference of the International Monetary Fund – the IMF and the World Bank (WB) in Bali Indonesia, the third left is Finance Minister and Zanzibar Planning, Hon. 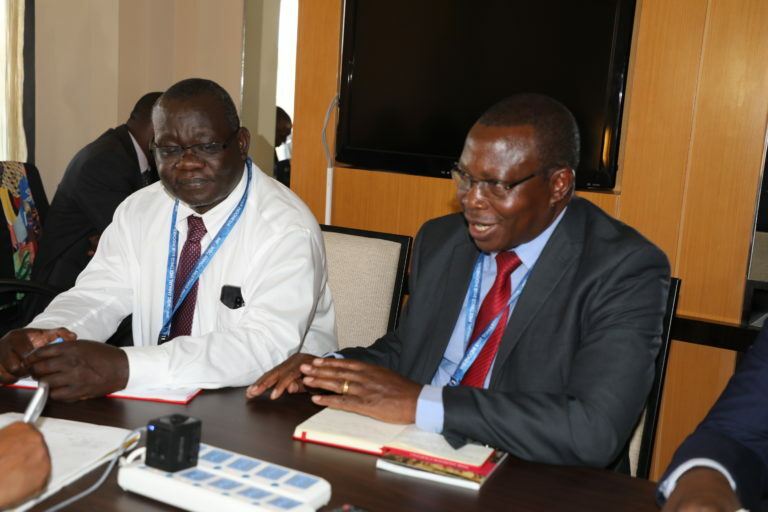 Dr. Khalid Salum Mohamed and left are the Tanzanian Revenue Authority Commissioner – TRA, Mr. Charles Kichere. The 2018 Data Law Amendment Act, does not prevent statistical stakeholders from providing data for their use, but these amendments provide a basis for observance during the delivery of these data. That is explained by the Minister of Finance and Planning. Philip Isdor Plan, when he met with the Executive Director of the IMF, representing Tanzania and other countries (Africa Group 1 Constituency), Mr. Maxwell Senior, at World Bank Meetings (WB) and the International Monetary Fund (IMF) in Bali Indoneshia. Dr. The plan has stated that the purpose of the amendment of the law is to simplify the research and delivery of research results and not to engage stakeholders in statistical information collection or to prevent cross-border discussion debate for official data outcomes. "We have agreed to use the Opportunities to Improve Statistics for setting up a good implementation of the revised legal aspects by involving different stakeholders to understand the purpose of the amendment," said Dr. Plan. This adjustment of statistical principles will facilitate the effective implementation of the revised rules of legislation where it has called on stakeholders to participate in the reform process. Similarly, the Minister of Planning, told the IMF Executive Director that the major economic reforms made by the Fiveth Phase Government have been in line with various legal changes, particularly mining laws aimed at ensuring that the resources of the countries benefit the country. but also investors investing in their country. In addition, he said that Mr. Older, is a Tanzanian representative at the IMF Board Board, so it is important to understand the economic and social development in Tanzania so that he can express the reality at the meetings of the Board. The Governor of the Bank of Tanzania (BoT) Prof. Florens Luoga, said that BoT has continued to upgrade the 2017 Financial Policy to solve the emerging financial sector challenges including credit shortages in the private sector. For its part, the Financial Director of the IMF represents Tanzania, Mr. Maxwell Mkhumbambamba, congratulated Tanzania for various economic development initiatives since it has become a country of great development and an example in African countries. He has advised Tanzania to use its office so that the Development Partners will understand the purpose of economic reforms that are in line with various legal improvements so that these developments can be sustainable. Also Dr. The program, held a meeting with the World Bank CEO (WB) representing Tanzania and other countries (Africa Group 1 Constituency), Mr. Andrew Bvumbe, during the WB and IMF annual meetings held in Bali Indonesia and congratulated the development cooperation with the institutions. SIDO Requires Citizens in Dodoma Interviews Domestic Opportunities Including Participation in Training of Skin Products. Copyright © 2019 Habari Mpya za Leo.